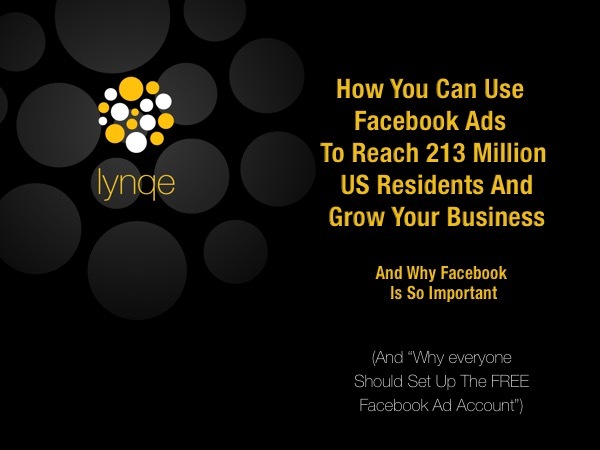 How LYNQE Can Help You! The Bottom Line: Why is Facebook So Important for You? And why should you read this? It’s because now 89% of your customers are on Facebook…. and the Facebook ad platform can reach them all with paid advertising. That 89% is 213 million people in the United States!